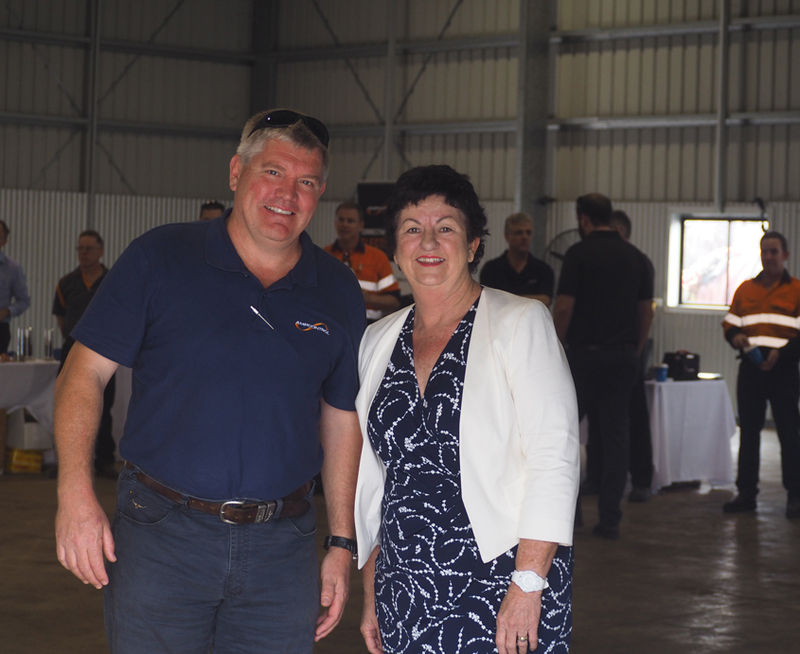 Australian owned and operated engineering and electrical system solutions company Ampcontrol, welcomed Isaac Regional Councillor and Mayor, Anne Baker who officially opened their new site at 58 O’Neill St, Moranbah on March 22. Jobs and the continued investment by Ampcontrol in the Moranbah site and community led the discussions as Mayor Baker formally kicked off the celebrations and supplier expo on site. “Having an international company like Ampcontrol expand both their footprint and capabilities to deliver services to the region are welcomed contributions for Moranbah’s growth,” said Mayor Baker. “With nine local people employed on site and the additional services to the local industry now available, this is a positive step in the economic development of Moranbah, and our region as a whole,” she said. Since 1968, Ampcontrol has provided employment to skilled tradespeople and engineers who have contributed to some significant innovations throughout the company’s 50 year history. “Providing employment opportunities and meaningful careers for local people in the region has always been an important part of our business,” said Don Beveridge, Ampcontrol General Manager – Northern Operations. “While cable services, sales and hire at Moranbah, Emerald and Mackay remains a core capability, the reach of our business into new markets means our innovative approach to engineering and customer solutions is going global,” said Mr Beveridge. In 2017, Ampcontrol delivered electrical infrastructure on projects across Australia as well as kicking off the manufacture and supply of Australian engineered products to the world’s largest copper mine in Mongolia. The business also secured tunnelling project work in Hong Kong and Singapore. “As we celebrate our 50th year in 2018, it is an exceptional achievement for Ampcontrol and our people. The opening of this new facility in Moranbah makes the occasion even more exciting and we look forward to working within this region and the local community to build a great business that is rewarding for everyone”, said Don.